As my bald head freezes due to the crazy temperature drop here in Texas today I find myself being a little nostalgic. I am beginning to wonder if the concept of loyalty exists in today’s culture or if “the-grass-is-greener-on-the-other-side” principle will now forever be the mantra of our YOLO society. Whether we verbalize the hip term YOLO, we have embraced a mindset that says I am number one and I will make my life about me. If I want to take a risk… I will, if I am not comfortable… I will bail, if I can heap more riches upon myself… I will chase it, and if there is something I deem better… I will grab it. You only live once so do what you want and look out for the only person that matters. You. So many institutions of our society are affected by this chasing of comfort, money, adventure, risk, reward and self indulgent newness: Church, Sports, Marriage, and the work place. Call me an idealist but I remember when people valued loyalty above self indulgence. If I am transparent I even see this value of comfort over loyalty in myself. It is so easy when times get tough to run. It is so easy when more money is extended to take it and run somehow hoping it will give us more joy. It is easy to look at another person’s situation and wish ourselves into their place thinking that in that we would find more joy. It is easy to look at life as taking risk after risk because your only purpose is trying to find the high that newness brings. * When people dedicated themselves to one company and worked there until they retired. I know today’s economy does not always allow this, but loyalty chooses to endure even when present seems cloudy. * When people made the covenant of marriage and truly intended to for better or worse stay loyal to this person they had pledge their life to before God. * When people would commit themselves to one church (not picking and choosing the best flavors of 2-5 churches) and resolved to walk with that church in times of harvest and despair. 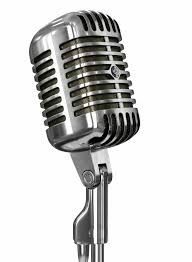 Loyalty says as long as the Gospel is central, my feet are planted here and use my talent’s for the worship and glory of God and the benefit of the local body of Christ. * When athletes played their whole career with one team and did not choose money over being loyal to the owner who first gave them a chance. Gone are the days of guys who value team loyalty over free agent gain. I know this one goes both ways with GM’s choosing to not give players extensions (i.e. Michael Young traded to Philly), but I miss the Cal Ripken, Craig Biggio one team for a career scenarios. Again, sue me for idealism but we must remember it is in the seasons of discomfort that we grow more than ever. It is in the seasons of trial that we learn to lean on God. Loyalty teaches us that problems are not permanent and shows us the blessing of learning to overcome conflict. Every long term relationship brings with it conflict. Loyalty stands tall in conflict and seeks resolution for the better of both the institution and the person, but self indulgence runs for greener pastures when times get uncomfortable. How do I know this? I am guilty of being a runner and if you are honest maybe you have been too. Let’s recapture the concept of loyalty. Loyalty is synonymous with the words allegiance, fidelity, faithfulness and devotion. What have you been loyal to? Your selfish desires? The chase for greener pastures? More than any organization I hope you know the biggest loyalty you must possess is a devotion to Jesus. Dig in, stand up, stay strong, refuse to let your mind wander in what ifs and greener pastures. Be willing to stay true to what matters and not chase selfish desires. coming book No One Really Knows. I always intend to write here, I really do, but somehow some way I find other things to occupy my time. Today I HAD to write, something is stirring my spirit and I cannot put it aside. I guess it even relates to some of the blogs I have posted in the past but this one is more than anything directed to all of us as who labor as Pastors. This verse has been really birthing repentance in my heart for the last few days as I have thought on it, meditated on it and have sought to be intentional about living in light of it. John 13:35 By this shall all men know that you are my disciples, if you have love one for another. I attended the C3 Pastors Conference last week and was really shaken by every single message that was preached. Some were delivered by ministry legends like Ed Young Sr., others by pastors I had oftenly judged with scepticism like TD Jakes and Ed Young Jr and others by pastors whose name I had never heard like David Hughes, Leon Fontaine, Dr. John Cross, Samuel Chand, Dino Rizzo and others. All that to say, I am different because these guys listened to God’s Spirit and shared from the depths of their soul what God had spoken to them. It got me thinking, especially in light of all of the publicized attacks on Ed Young Jr, Pastor of Fellowship Church in the last few months, why do we as pastors seem to ” eat our own” so to speak. It is obvious that Ed is anointed and gifted by God to be a voice to help those without Christ see their desperate need for them. So in his time of attack, why are we blogging about him, slandering him, speaking out against him when I am sure most of us only know of him personally what the media has told us is truth. What does it gain for us or the kingdom for us to be the cheerleading bloggers that are adding to the fire of those who are questioning his motives? It sickens me that sometimes I feel it gives us some kind of joy when we see one of the “big dogs” in Church leadership fail because then we can pat ourselves on the back and feel better about our shortcomings as leaders. All of us who pastor know how difficult being a pastor is, the behind the scenes stuff that can steal our joy and exhaust us if we do not stay intune with God himself for filling, contentment and power. Many of us know the pain of slander that has been aimed at us or our family. So why are we the ones sitting behind our comuter screens firing darts of accusation at one of our fellow co-laborers for Christ? Don’t we believe that Ed needs prayer from us right now? If the pastors aren’t willing to stand with their own who will? Whether we agree with his actions, his theology, his method of ministry, he is still one of us. One of us who is impacting lives all over the globe for the kingdom. Rather than perpetuate the slander, lets unite to pray! I was also convicted by my quickness to judge or be skeptical of the motives of pastors that I really knew little about. I will tell you I felt pretty foolish that I had long been skeptical of TD Jakes when I heard him preach God’s Word Friday. This man allowed God to work through him in a way I have seen few others do. He spoke with power, he spoke biblically, but most of all he allowed the Spirit to use him as a vessel. His message ate my lunch, gave me hope, pointed me toward Christ and helped trim away some dead branches in my life. I guess in all of this the principal I learned is we can spend a lot of time slandering other leaders, jumping on our blogs and facebooks when another leader “fails” legitmately or by our standards or we can be a people who stand with one another, pray with and for one another. Does the world know we are followers of Christ by the way we love each other or conversely do they see people who are quick to cast a stone at easy targets. God is telling me to put my rock down, that unless I have not failed as a leader then my stone belongs as an ornament of the dust rather than a weapon of accusation. Honestly I think this is a universal principle, who needs more prayer than our government leaders right now? Who needs to know the Lord more than the celebrities and atheletes that we see fall into moral failure? 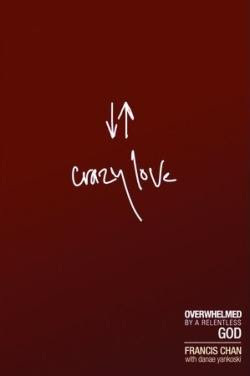 I just finished reading a book by Francis Chan entitled Crazy Love . I would definitely recommend it to anyone who wants to live out Christianity in the crazy radical way that God has called us to pursue Christ. So much of what he said really resonated with my heart but one reflective question he asked has been spinning through my mind for the last few days. I thought it would be awesome to share that quote with you today. A life lived for Christ, is a life lived based on faith. Allow me to just be transparent for a second, and just say sometimes being a leader is so hard. With all my heart I want to please God, but sometimes in pleasing God I have to displease people. That is hard for me, because I have such a desire to please people, to be respected by them and to have them on board with where I am leading. This is another time in which I feel God is stretching me. There are great decisions that face me in the coming weeks, vision to be cast and steps of faith to be taken. God give me the courage to follow you, even when the choices that need to be made may not be popular. God help me to hear you clearly, let this be your youth ministry and not my own. Yes, yes, it is finally new post time. I found this list of practical applications for ministers from a chapel service led by Dr. Jimmy Draper Jr. at SWBTS. I think this was from my first semester there, but I am not sure. I thought these might be helpful for other ministers out there. Remember in all we do, His glory should be the focus and the issue.